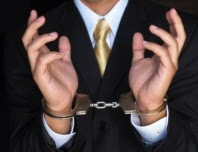 A recent look at the annual reports of the Office of the Director of Corporate Enforecement shows that it secured 198 convictions since it was set up in 2001. Most of the convictions led to disqualifications and fines (mainly between €500-€1,500), while only eight included prison sentences. Of those, seven were suspended or overturned on appeal. The one person who did go to prison, Kenneth Shanny from Dunshaughlin in Co Meath, was convicted of auditing offences under the 1990 Companies Act. He was sentenced to three years in prison, with the last year suspended, and is currently appealing the sentence. So in ten years one person has been jailed by the body set up to tackle corporate crime in Ireland. The Office is also investigating the goings-on in Anglo Irish Bank, an investigation that is in its third year. Due to the workload involved in the Anglo case the number of convictions the ODCE has secured dropped dramatically from 38 and 46 duine in 2005 and 2006 to just two in both 2009 and 2010. Figures released by the Minister for Justice Alan Shatter in November also showed that ten prison sentences have been handed down for breaches of the Competition Act since 2001, but that all of them were suspended. Meanwhile almost 7,000 people were jailed in in the first eleven months of 2011 for not paying fines (134 a week) up from 2,000 in 2008. Tá díospóireacht ar siúl faoi láthair maidir le stádas an toirc in Éirinn. Le blianta beaga anuas thángthas ar an ainmhí sa tír, idir chinn a d'éalaigh ó fheirmeacha agus cinn a scaoil sealgairí d'aon ghnó. 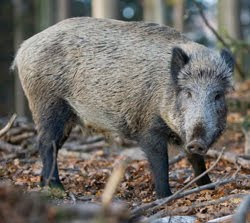 Tá Speicis Ionracha Éireann ag iarraidh stop a chur le scaipeadh an toirc, ach ní aontaíonn an Irish Wildlife Trust leis an bpolasaí seo. Dar le Speicis Ionracha Éireann ní ainmhí dúchasach iad toisc nár tháinig siad go hÉireann as a stuaim féin i ndiaidh an Oighir Aois deireanach - thart ar 8,000 RC. Dar leo thóg daoine iad go dtí an tír níos déanaí. De réir cláir sa tsraith 'Ag Dul in Éag' ar TG4 maraíodh an torc deireanach in Éirinn san 12ú hAois. Ceist chasta atá ann ach níl aon dabht ach go ndeachaidh an torc (nó an collach mar a ghlaodh air chomh maith) i bhfeidhm ar dhaoine in Éirinn - mar a léiríonn an Fhiannaíocht agus na logainmeacha seo. Má bhreathnaíonn tú ar 'Ainmneacha Cosúla' ag an nasc seo feicfidh tú go bhfuil go leor logainmneacha eile a bhaineann leis an torc, cúig 'Cluain Torc' ina measc. 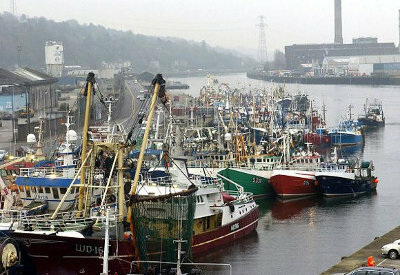 The Minister for Agriculture Simon Coveney told the Dáil before Christmas that 937,924 tonnes of fish would be taken from Ireland's waters in 2011, worth a total of €1.04 billion. However, Irish fishers were only allowed to take 17% of this, meaning that €863 million was be fished by foreign trawlers. Only a quarter of the fish taken from Ireland's seas are landed in the country, meaning that the potential to create processing jobs is also being lost. Lorcán Ó Cinnéide from the Irish Fish Producers Organization (IFPO) explained thus; The EU doesn't view Ireland's territorial waters as 'Irish', they are seen more as a commonage to be divided up between all the nations of the EU. Indeed when Ireland joined the EEC its waters only extended 12 miles from shore. This was increased to 200 miles in the late seventies so foreign trawlers were already fishing in what become Ireland's waters. The quotas for each EU nation's fishing fleets were set according to the historic size of the fleets. People in Ireland didn't recognise the potential of the fishing industry (and to be honest aren't all that mad about eating fish) and hadn't developed it by the time we joined the EEC. Ireland had a small fleet when it joined whereas France, the UK and Spain had much larger ones – so we got a tiny quota and they get large ones. In fact, according to Lorcán, France gets about 32% of the fish from Ireland's waters, almost twice what Irish fishers get. To increase Ireland's quota France, Spain, the UK etc would have to reduce theirs and the IFPO don't believe there is much chance of that happening, so short of us leaving the EU there doesn't seem to be much we can do. Ireland may not have recognised the potential of fishing in the past, but times have changed and it seems a bit unfair that the current quotas should be set in stone forever more. Certainly the next time France raises the issue of Ireland's “unfair” corporate tax rate we should mention the fishing quotas.